Explore the history, theories, and concepts of psychology through more than 100 groundbreaking ideas with straightforward text, witty illustrations, and vocabulary glossary that demystify an often daunting subject matter. Now in paperback. The Psychology Book looks at the biggest names in psychology, including William James, Sigmund Freud, and Ivan Pavlov, and unpacks each psychologist's contribution to our understanding of how the mind works. With straightforward information, witty infographics, and a directory of scientists, this guide helps untangle the knot of theories behind the science of the mind. From its philosophical roots through behaviorism, psychotherapy, and developmental psychology, The Psychology Book incorporates the latest thinkings of today's psychologists alongside the theories of ancient philosophers, as well as the key experiments and ideas of the scientists and practitioners of the 19th and 20th centuries. 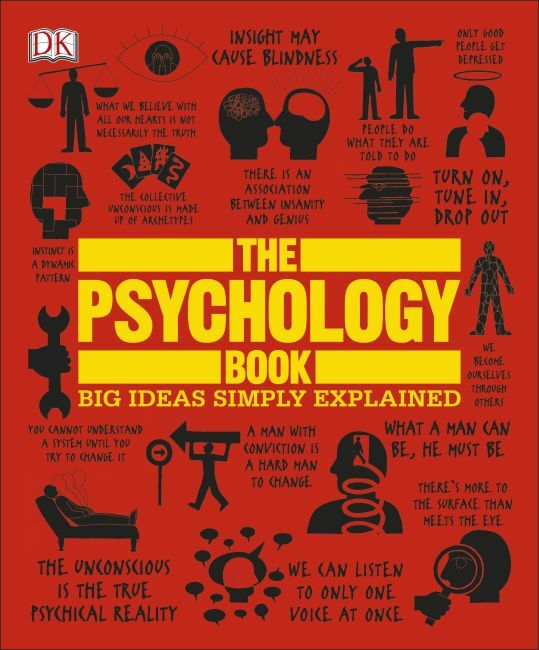 As part of DK's award-winning Big Ideas Simply Explained series, The Psychology Book breaks down the most mysterious science of all in this essential, accessible, and comprehensive guide to psychology.